I know he’s got at least some money, because he’s buying Grey Goose. People with money don’t buy cheap vodka, or cheap rum, or cheap whiskey. They invest in the good stuff, like Grey Goose. Three bottles of it. His suit radiates “expensive”, the kind of expensive that involves several tailors and a high-end store in Manhattan. We aren’t in Manhattan, though. We’re in a fluorescent-lit Ralph’s in a suburban city that sleeps from 10 PM to 6 AM. Men who belong in Manhattan look out of place here. “How are you doing tonight, sir?” The woman working the register asks pleasantly enough. My eyes are fixated on her hands, veins prominent through tired skin, as they scan bottle after bottle. His own fingers drum on the register wall impatiently. A gold band catches lights and gleams from his ring finger. “Fine. Now, if you wouldn’t mind speeding up this damn process, I’ve got places to be.” He snaps, taking a black leather wallet out of his jacket pocket, a shiny credit card protruding from the top. It looks like it’s made of silver. He holds it gingerly between his index finger and middle finger, and now that his hands are busy, he begins tapping his foot on the linoleum. There is a faint, distinct rhythm, but I can’t place where I’ve heard it before. The man heaves an audible sigh. “My ID… Do I appear to be someone underage? Excuse me, ma’am, for finding my way into your line. I thought cashiers were more competent than this.” He’s irritated, and I can see the blood rising from his neck to his temples. The only thing I can think of is the epinephrine that is coursing through his system, raising his heart rate and accelerating his breathing. “It’s just store policy, sir,” her voice is small. She does not combat him once. He pulls out his wallet again and nearly shoves his driver’s license in her face. “This is ridiculous,” he mutters. The cashier is silent as she takes his credit card and slides it through the machine. She holds it in her left hand like it’s an explosive, ready to implode at the slightest, misguided touch. When the computer signifies that the transaction is complete and the receipt finally prints, he exhales loudly. He leaves the line with four bags of alcohol. I wonder how long those bottles will last him. I shuffle my feet forward, in awe of the man’s audacity to be so outwardly rude. 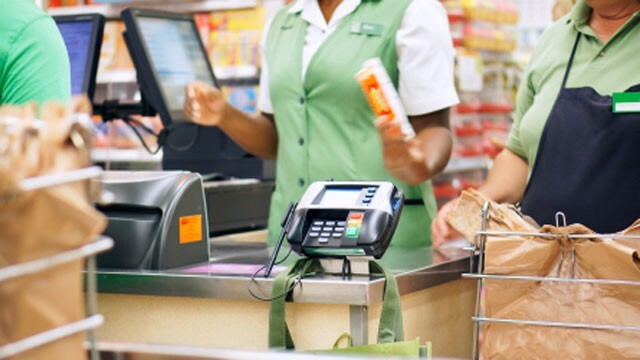 I glance up, noticing the cashier’s face for the first time. Her brown eyes look heavy, and there is discoloration around her neck, barely visible above the collar of the uniform polo. An amalgamation of black and blue and yellow mix together, in vague forms of fingerprints, marring the translucence of her skin. Time slows down and I swear I can see the fibrin forming the intricate meshwork to mend the broken capillaries. I should be more shocked by this sight. I should not be standing here complacent. “How are you today, ma’am?” She asks, tone betraying defeat, as I watch her put the few cans of soup into a grocery bag. There’s a cut on the side of her right hand that has been hastily and poorly covered by a flimsy band aid that I did not see before. The wound appears to be somewhat old, darkened by days of healing. Thrombin to fibrinogen to fibrin. I wonder how often her body must endure this cycle of blood-clotting. “Fine, thank you,” I say distractedly. Maybe it is because my mind is still on the Manhattan man, or because I am too caught up in breaking down biological reactions, or because I don’t want to think about the possibility of abuse, but I don’t ask “How are you” in return. The synapse of that thought is dead before it even had a chance to come to the forefront of my mind. I pay for my groceries with old, crumpled bills and leave hurriedly with a bag in each hand. As soon as I’m out the door it dawns on me that I didn’t reciprocate the question. I slow down my pace and with each step, out the door, onto the pavement, then the asphalt, I feel strange. I didn’t bother to look at her name tag. I didn’t ask how she was... I didn’t ask how she was. How many customers had she seen, but they had not seen her? How many days can we go through without taking the time to leave our own busy thoughts and comfort behind and extend basic courtesy to one another? Who was I but just another person who left that woman’s presence without acknowledging that she was worthy of a mere question? Perhaps that “How are you” was what she desperately needed in that moment, to have a voice, to feel valued, to feel human, to know that someone cares. I am no better than the man before me who had completely disrespected her. In a sense, I am worse; I have no alcohol or expensive suit to use as excuses, only my own innate selfishness and apathy. The car is still parked as I sit in the driver’s seat, staring out the windshield at nothing in particular. Looking down at my own hands, I realize in my near 19 years of existence that they have not seen even half the scope of human suffering that is undeniably present in this world. I close them into fists and feel weak. DNA cannot code for compassion. There is an underlying source of empathy, burying itself in the microscopic spaces between the sequences of A’s and T’s and C’s and G’s, that does not come from myself. I pray that the man in the suit finds wholeness in something far more lasting than the satisfaction of an empty bottle. I pray that the cashier is heard and finds solace in a source of comfort far greater than anything any human could ever provide. I pray that I may become someone who asks how others are doing before they even have the opportunity to ask me. Thrombin to fibrinogen to fibrin. Mistake to consequence to learning. These are the ways we heal and grow.